Curriculum development manager and staff writer at GoodSeed's International Office. slaves to sin but free (Romans 6:6-7,14,18). strangers and aliens but members of God’s family (Ephesians 2:19). servants but friends (John 15:15). These statements represent powerful, new realities for us who have been transferred at the moment of salvation from the “kingdom of darkness” to the “kingdom of light”—the kingdom of God’s Son, Jesus Christ (Colossians 1:12-13). Each of these declarations holds a wealth of meaning but all hold in common a fundamental fact of change as to how God perceives us, brought about by God alone. Understanding how God now sees us—the new position we have been granted in Christ—is a key principle for living the Christian life. Most of us have experienced the uneasy feeling of being in an unfamiliar setting where we’re conscious of being outsiders who have very little in common with those who “belong.” After finding ourselves in that environment, it’s a welcomed relief to come to a place where we are “no longer a stranger,” but where we’re known and accepted. As Christians, we can identify. There was a time in each of our lives when we were separated from Jesus Christ—strangers to Christ and everything God desires for us (Ephesians 2:12). This separation came about as a result of sin. Your iniquities have separated you from your God… (Isaiah 59:2 NIV; cf. Romans 3:23; Ephesians 4:18). You are no longer strangers and aliens, but you are fellow citizens with the saints and members of the household of God (Ephesians 2:19 ESV). Whereas previously we were separated from God, “without hope and without God in the world,” we have now “been brought near through the blood of Christ” (Ephesians 2:12 NIV). 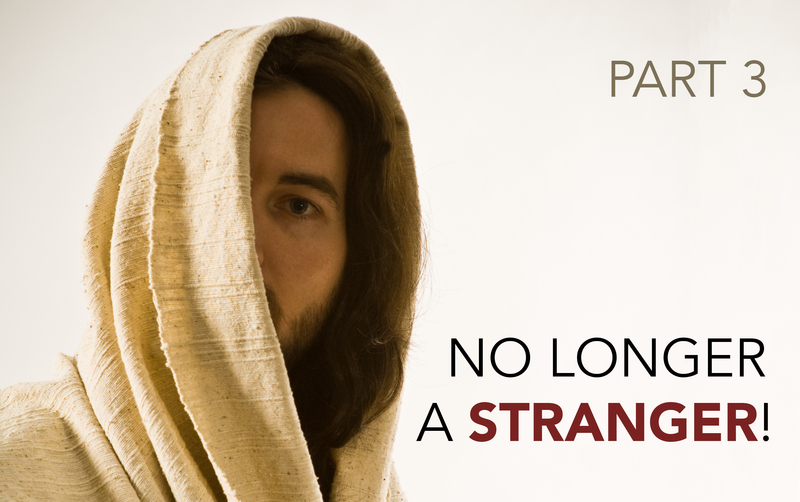 No longer a stranger! What welcome news that we have been brought back into a right relationship with our Creator! Jesus made seven statements during the final hours on the cross before his death. These are recorded for us in the Gospels, and GoodSeed’s primary tools emphasize three of them. In this two-part Going Deeper article, we examine the deeper significance of all seven statements. Jesus of Nazareth has been arrested in the night on trumped-up charges. Falsely accused, he is paraded through a series of courts. These court sessions are simply a pretext to provide legality to what is already a foregone conclusion in the minds of the Jewish religious leaders: a sentence of death for blasphemy. Jesus is beaten and mocked before he is sentenced to death by crucifixion by Pontius Pilate, the Roman governor. The intent of this barbaric form of execution was to prolong the agony of dying as long as possible. However, the crucifixion of Christ lasted a relatively short time, from the “third” hour—about 9:00 a.m. (Mark 15:25) to about the “ninth” hour—3:00 p.m. (Mark 15:33). As a person reads the description of what happened during those six hours, what isn’t found are sensational, lurid details of the physical suffering Jesus experienced as he hung on the cross. The Bible doesn’t indulge our curiosity. There are none of the horrific details that one might expect in tabloid journalism. Rather, the account of the crucifixion is told in a simple, straightforward manner without any dramatics. This is not to minimize the physical agony Christ felt on the cross. His pain was very real, but pain isn’t what Scripture highlights. Instead, the Bible gives us glimpses of Jesus’ heart for humanity through seven statements he made during the final hours before his death. Just as the final words spoken from the deathbed of a loved one hold great significance to family and friends, so these words of Christ are such that they have reverberated down through history. In the first part of this two-part article, we delved into the significance of Christ’s first three statements from the cross. Now we will discuss the final four statements. 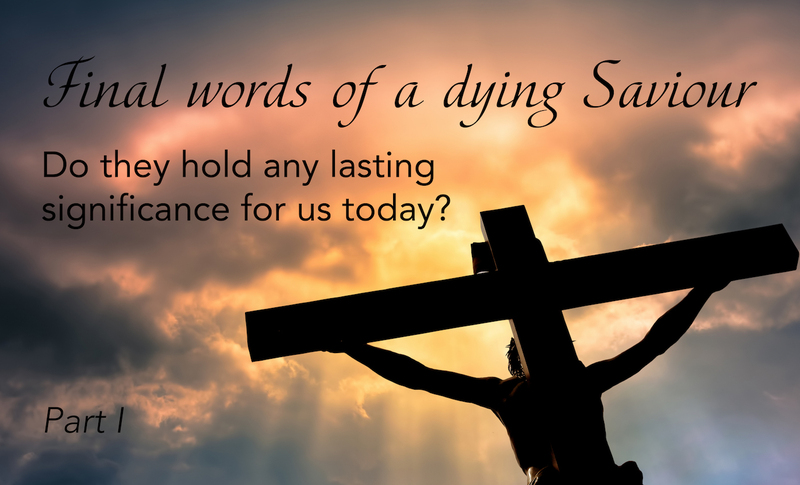 Jesus made seven statements during the final hours on the cross before his death. These are recorded for us in the Gospels, and GoodSeed’s primary tools emphasize three of them. In this two-part Going Deeper article, we will examine the deeper significance of all seven statements. Bible writers Matthew, Mark, Luke and John each give us unique insights into the crucial few days surrounding Jesus’ crucifixion. This series gives an inside view on the structure of By This Name and how it breaks through confusion in our diverse society, bringing clarity to the message of the gospel. One unique theme used to great effect in By This Name is the concept of the “global classroom.” Highlighted in chapter seven (page 145), the global classroom is the idea that all the peoples of the world are students in a class and the teacher, Yahweh, chooses one among the class to help in his presentation. From all the possible nations on earth, Israel was chosen as the “example nation.” By watching how Yahweh interacts with the Israelites, the other peoples of the world can understand who Yahweh is and what he is like. One of the obstacles in sharing the gospel is getting the reader to trust in the truthfulness and reliability of Scripture. If he or she doesn’t believe in what the Bible is saying, then that person will likely reject the gospel. So how do we enable someone to gain confidence in the Word of God? God has seen fit to put into his Word a powerful, self-authenticating feature that shows his Word not only to be true, but accurate. It’s what we know as prophecy. Simply put, prophecy is a prediction about a future event. And the Bible is replete with it—nearly 27% of Scripture is prophetic. No other ancient book provides so many prophecies about future world events. Many of the prophecies in the Bible have been precisely fulfilled hundreds, even thousands, of years after they were initially given. Each fulfilled prophecy adds credence to the fact that the Bible is a reliable text. By This Name highlights a number of fulfilled prophecies to help the reader build trust in Scripture. At the very basic level, syncretism happens when someone simply adds what they think the Bible says to what they already believe. 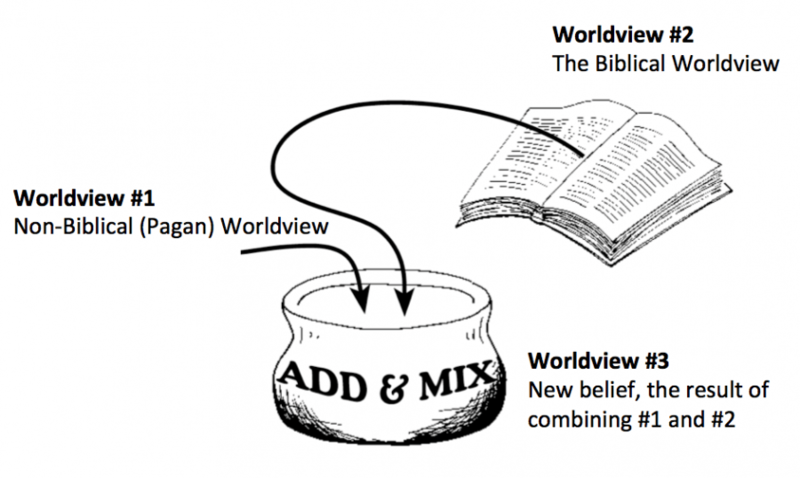 Combining these two very different views leads to them adopting a third belief system. What does syncretism look like? Take Lynn for example. Lynn believes in the Bible. A college friend explained the gospel to her and Lynn accepted what her friend shared. Every day, she reads a portion of Scripture. Every week, she not only attends the religious services in which she was raised but also a new church with which she has connected. She also tries, at every opportunity, to be good, to do good and to have good thoughts. She believes that God will find her acceptable and she can get to heaven because of these good works. She believes that good will come back to her if she does more good. (After all, will she not reap after death what she has sown in this lifetime?) For now, she also relies on horoscopes to foresee the future and to help guide her decision-making. This description of Lynn is one of syncretism. She has mixed non-biblical ideas with Scripture, resulting in a completely different belief system. People like Lynn are very common in today’s world. They simply layer on bits of biblical truth onto their underlying belief system. There is no true understanding of the gospel message. As we read the Bible chronologically, we learn more and more about God as he reveals additional details about himself. This is known as progressive revelation. This is also true about the Promised Deliverer—the Saviour—that God said he would send. By This Name follows Scripture’s historical narrative and builds an increasing comprehensive portrait of the Promised Deliverer as the story unfolds. For example, take the account of Adam and Eve’s fall into sin (Genesis 3). Here, we see God’s promise to provide the One who would rescue mankind from the consequences of sin. Many today believe that all gods are essentially the same. No one is better than the other. They are just different. Therefore, it is entirely up to a person’s preference whom they choose to worship. Everyone is free to create and adopt his or her own form of spirituality. Additionally, others have no problem respecting and revering a number of gods. They find no paradox in worshipping a collection of gods. For some, they are “hedging their bets,” hoping that by venerating many gods, one or more will be of help to them in their lives.